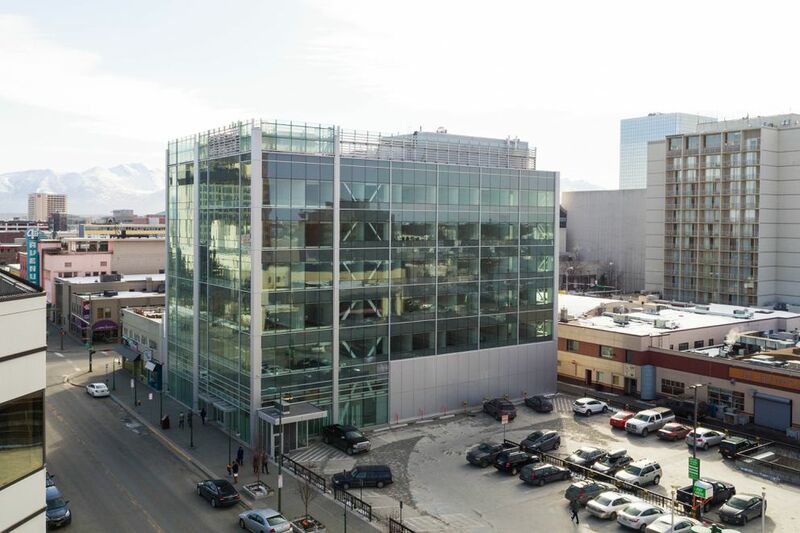 The Anchorage parking and redevelopment authority has signed a deal to buy the office building on Fourth Avenue that briefly housed state legislative offices before being entangled in a legal fight. The Anchorage Community Development Authority offered $14 million to buy the former Legislative Information Offices at 716 W. Fourth Ave., according to a purchase and sale agreement provided to Anchorage Daily News. Florida-based Everbank, which has owned the building since a foreclosure settlement earlier this year, accepted the offer, according to Andrew Halcro, the executive director of the agency. "We see a fairly dramatic shift in office space in downtown," Halcro said in an interview. "We think it's a great opportunity." Halcro said there's no specific tenant in mind but the building would likely be either offices or retail. The upscale building at 716 W. Fourth Ave. has been empty for nearly two years. In 2016, lawmakers left the offices after a judge said the Alaska Legislature's lease there was illegal. The Legislature has since moved into a Spenard building purchased from Wells Fargo. That year, the Legislature offered to buy the building for more than twice what Halcro's agency has offered now. Halcro said the purchase price is about $4 million less than the appraised value. The deal has to clear a few more hurdles before it's final, including Anchorage Assembly authorization, Halcro said. Halcro's agency manages parking downtown and is also involved in redevelopment projects. A quasi-government agency, the Anchorage Community Development Authority makes money from a mix of parking, investment and development revenue. Since becoming executive director, Halcro has pursued several ambitious downtown redevelopment projects for the agency's properties, saying he hopes to shift focus away from parking. That includes the remodel of the Anchorage transit center on Sixth Avenue and the development of several vacant lots at Eighth Avenue and K Street. Halcro said he'd watched the former legislative office building since his agency began managing the building's parking a year and a half ago. He said the agency makes about $170,000 a year from parking alone and he and his board felt it was too valuable an asset to give up. The development authority generated substantial investment revenue from the 2005 redevelopment of a Government Hill subdivision, but that stream has dried up, Halcro said. "As an organization, if we're going to grow our asset base … we have to look at doing more in community development and those kinds of acquisitions," Halcro said. Halcro said his agency plans to put up one of its parking garages as collateral for a loan. Final terms will be worked out in the next few weeks, he said. The loan will be repaid by rent from future tenants, as well as parking revenue, Halcro said. The building moved into bank ownership after the foreclosure settlement earlier this year with 716 West Fourth Avenue LLC, a company owned by developers Mark Pfeffer and Bob Acree. After word got out in late March the bank was selling the building, the broker, Frampton & Opinsky, got a handful of calls expressing interest, said John Opinsky, a partner in the firm. But Halcro's agency immediately made an aggressive push, Opinsky said. He said he didn't even have a marketing package done for the building. "It's just a beautiful asset in the core of downtown, and it's highly sought after," Opinsky said. Opinsky declined to give details on the finances of the deal, citing a confidentiality agreement. The building has roughly 50,000 square feet of space for tenants. It's an unusual setup, after the Legislature made extensive renovations to make the space fit government offices. But Halcro indicated there aren't big changes planned. Halcro said he doesn't know yet what will move in there. "Somebody who can pay the bills," Halcro said. "Somebody who is a good tenant who adds value to downtown." He said his agency will be spending the next few weeks working out final details of the deal, including financing, and seeking Assembly approval. 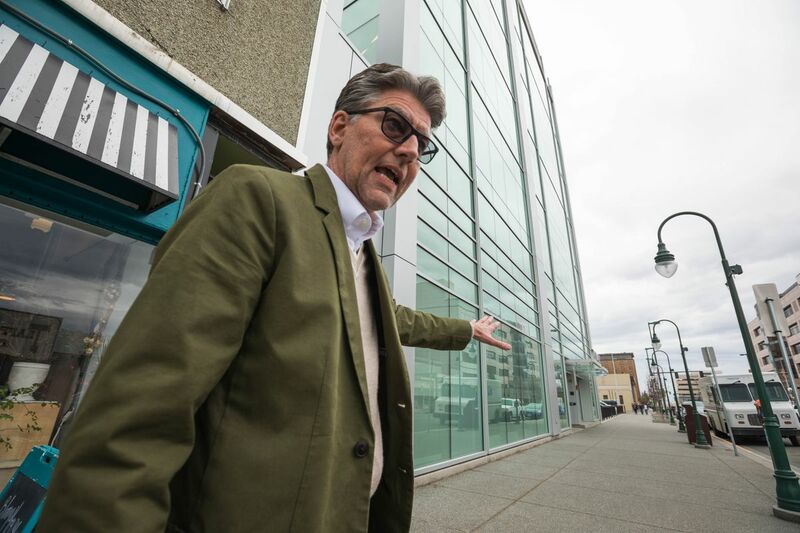 Correction: An earlier version of this story incorrectly reported the amount of money the Anchorage Community Development Authority makes in parking revenue for the building at 716 W. Fourth Ave. The agency makes $170,000 each year, not each month.